Who do আপনি think is the prettiest among them? Which of Haruka (pic covers) is your favourite? How did আপনি find out about SCANDAL? Which picture of Shunkan Sentimental (cover) do আপনি think is the best? if all স্ক্যান্ডাল members have boyfriend? What is your favourite song sings দ্বারা SCANDAL?? • HARUNA and MAMI both loves Dragonball. • HARUNA and MAMI tend to tap their left leg and দোল their guitars in the same rhythm while playing songs. • HARUNA and RINA went to see a Prince of টেনিস musical (TeniMyu). • Loves Bleach, One Piece and K-On!. • Studied at Caless Vocal & Dance School. Met at the main branch at Osaka. • They all like guys with an "S-Type" personality. The Japanese pop culture convention AM2 announced on Friday that it will host the Japanese band স্ক্যান্ডাল as musical Guests of Honor at its July 1-3 event at the Anaheim Convention Center in California. স্ক্যান্ডাল is a four-member girl band which has performed several জীবন্ত theme songs, including the 10th Bleach opening theme, the fourth Fullmetal Alchemist: Brotherhood ending theme, and the সেকেন্ড তারকা Driver Kagayaki no Takuto ending theme. The band also performed three songs for the 2010 জীবন্ত film Loups-Garous, which featured animated versions of the band's members onscreen. 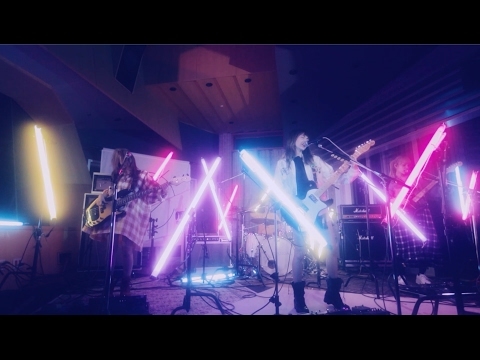 Description~ New single release from high school girl's band স্ক্যান্ডাল and theme song to the film "Corazon de Melon." Earlier this month, pop-rock band স্ক্যান্ডাল announced that they would soon be releasing their 10th single, “Haruka“, which will also be used as the theme song for the upcoming 3D animation, “Tofu Kozo“. Recently, they unveiled the covers for the single’s three different editions and its track list. RINA, the youngest among the group and serves as the drummer. A girl that always has a smile painted on her face when performing – প্রদর্শিত হচ্ছে that performing and সঙ্গীত is nothing but love. She’s also a cheerful and bubbly person as seen in their live interviews with the reactions she shows. Also among the 4 of them, she is the most active in their blog, making sure that অনুরাগী is always updated to her and the group. স্ক্যান্ডাল song lyrics in both japanese and english! On March 11th, the members of স্ক্যান্ডাল were busy updating their twitter with greetings like "Ittekimasu" ("I'll be going" in English). The band was preparing to depart on their Asia tour. 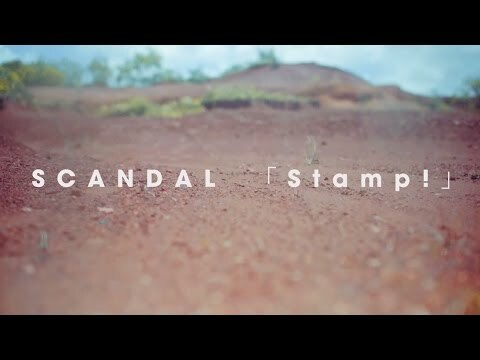 a video যুক্ত হয়ে ছিল: স্ক্যান্ডাল - stamp! What is Tomomi's পছন্দ food? স্ট্রবেরি and Nata de Coco. Your শীর্ষ 5 পছন্দ স্ক্যান্ডাল song ?